“WealthStartUp Membership Programme”... All the Advice and Training Information Leading to over 14 Years of Online Success! Access to high-quality, high-converting "WEALTHSTARTUP TOOLS KIT" that help you sure pass $10,000 a month in the quickest, easiest way possible and practically sell themselves! The "WEALTHSTARTUP MARKETING MASTERING CLASS" provides you with detailed instruction on every aspect of successful Internet marketing, including email swipes, professional-grade graphics, and pre-written sales copy! 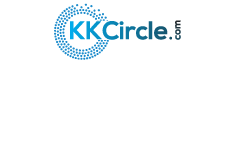 This product is created and sold by Circle KK Lo, the product's vendor.